I was reading this morning a story about a young child named Philip who was afflicted with Down ’s syndrome. Philip went through life not completely accepted by other children because he was different. This was even true when Philip attended Sunday school. One day his Sunday school teacher brought a number of empty pantyhose containers which were in the shape of a large plastic egg. The teacher gave each one of the students one of the empty egg shaped containers and took the class outside. The teacher asked the students to find a symbol of new life and put it in the empty egg shaped pantyhose container. A long silence of insight followed---and suddenly Philip was a part of that group for sure. Starting at 11am and ending at 1pm our church youth group will have a car wash at the church. They are trying to raise money for summer camp. Come out and support our youth group. The service times will be the same this year as they were last year. Breakfast at 9:15 AM – 9:45AM. Easter Worship Service at 10:00 AM. 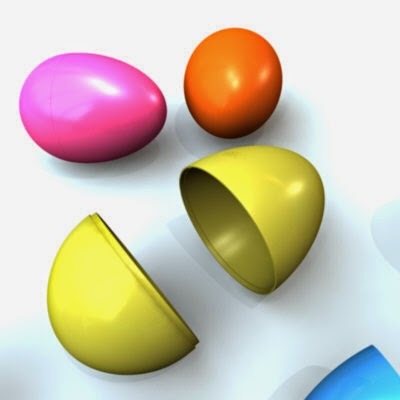 Following the morning worship celebration we will have the EASTER EGG HUNT for all the children age 0-6th grade. We will meet at 1:00 PM on Saturday at the church to fill Easter Eggs for the Easter Egg Hunt. Everyone is welcome to come and help us get ready for Sunday. This weekend, more than 75 Christians were attacked and killed while gathering together for Palm Sunday in Nigeria. Just a few weeks ago, Mary Sameh George, a 25-year-old Egyptian Christian, was brutally murdered for wearing a cross around her neck. She was pulled onto the street, and stabbed multiple times by a group of Islamic extremists. While many of us view Easter as a time of celebration, persecuted Christians around the world are in danger of losing their lives. Major Christian holidays are when persecuted Christians face some of the most brutal and violent attacks. Let’s not forget to pray for our Christian brothers and sisters who face real persecution each day especially during this important holiday.